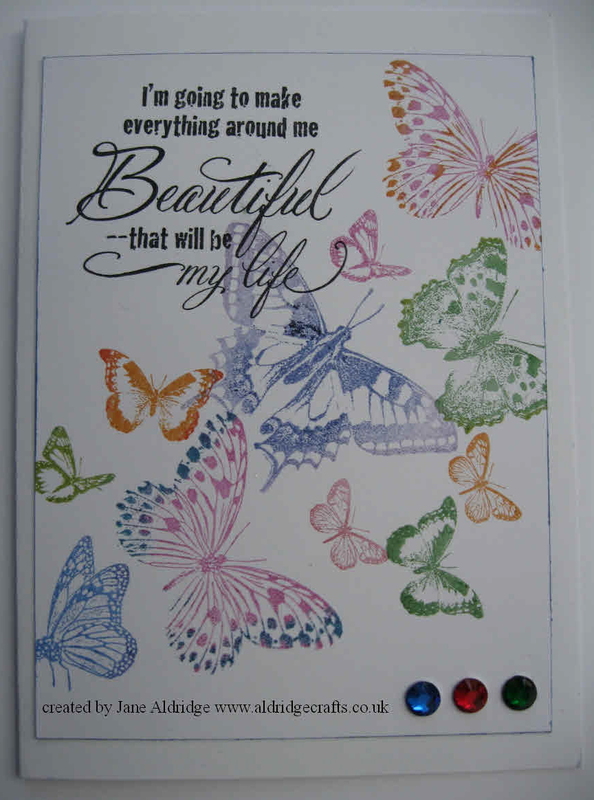 This project is one of the samples for the colour stamping workshop this coming Thursday (a couple of spaces are still available, call 01953 454976 to book). 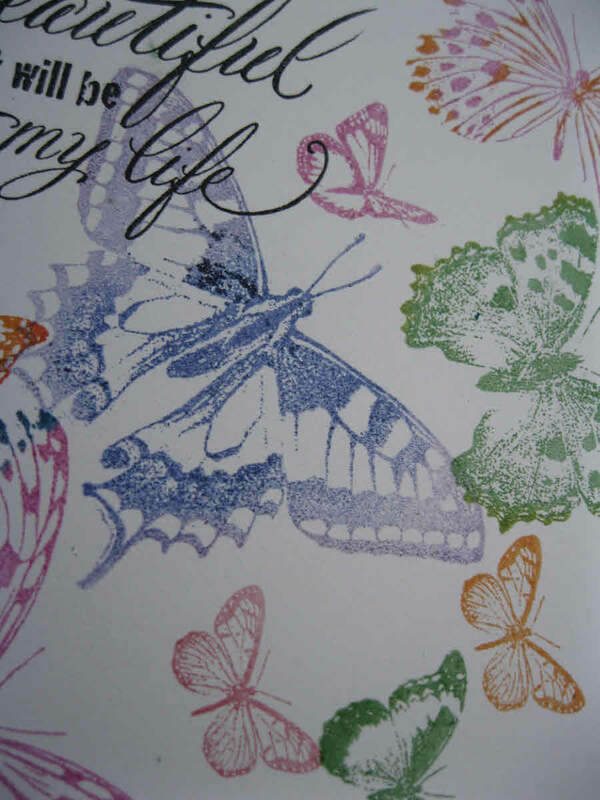 The idea of the workshop is to try some different techniques stamping in coloured inks, rather than stamping in black and adding colour. 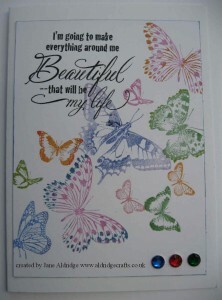 These butterfly stamps from Stampendous lend themselves nicely to this type of technique as you can use all sorts of colours to make a bright and vibrant card. I have used a mix of memento inks to apply colour to my butterflies and the greeting is also a Stampendous stamp too. Back again later with another sample for the same workshop. I was due to post this yesterday – but my blogger wasn’t playing nicely last night – but it means you get the benefit of two projects today – so check back later for the next post!